Every toy pistol patented in the US since the 1800s. The US Patent Database is a treasure trove of American hopes and dreams around technologies and the future. As a data source, it provides insights into the core values and traditions of the United States. After exploring the US Patent Database I was intrigued by the number of toy pistols, guns and weapons patented in the US. American Toys was created by combining images from every United States patent containing the phrase “toy pistol”. 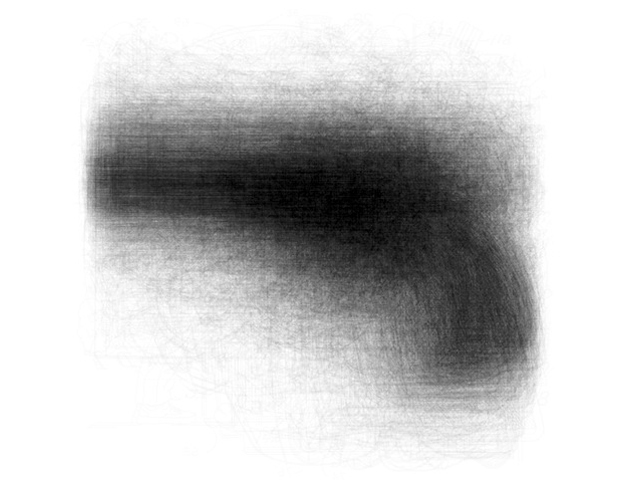 The image, which is an average of each and ever pistol becomes a sort of data self-portrait.